Have you noticed less and less drivers are taking the time to let other know which way they're going? According to a study by The Society of Automotive Engineers, drivers fail to use their turn signals (or turn them off) when changing lanes - 48% of the time. According to the same study, 1 out of 4 of us don't use them when making a turn. According to Response Insurance, 42% of drivers surveyed claim they just don't have enoughKeep a safe distance form the driver in front of you. time. Another 23% admit they're just lazy...Ouch! 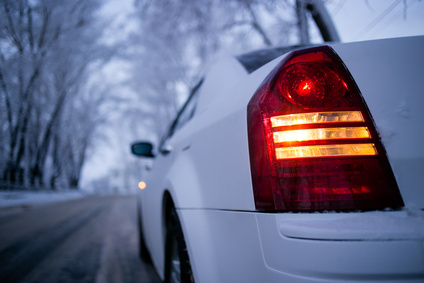 The lack of turn signal usage results in about 2 million roadway collisions per year. It seems like more and more drivers are distracted. Smart phones, texting, and lattes are causing many to forgo the inconvenience of warning others of their intentions. Be aware of cars driving in the lane next to you. Watch for cars making erratic lane changes. With a little vigilance, you can avoid being a statistic.